The Officers and Members of West Bradford Fire CO would like to Thank our Veterans, far and near for the service they have provided to us. Veterans day was first known as Armistice Day in 1918, is observed on November 11, and was renamed Veterans Day in 1954. 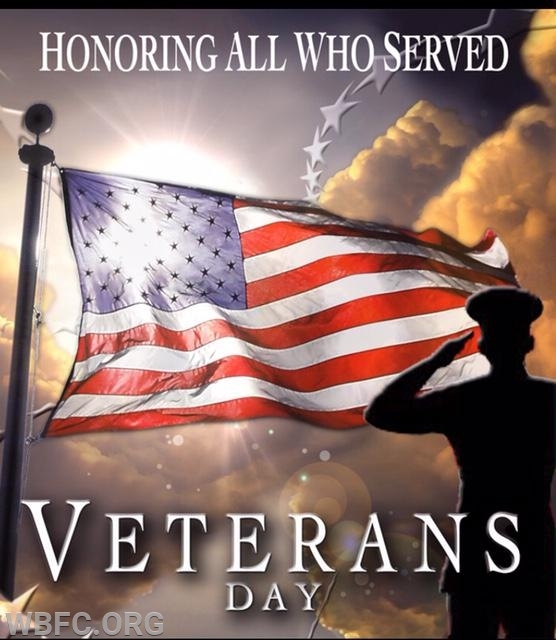 Veterans Day is a day to honor all U.S. Military Veterans that have dedicated their lives to serving our Country.